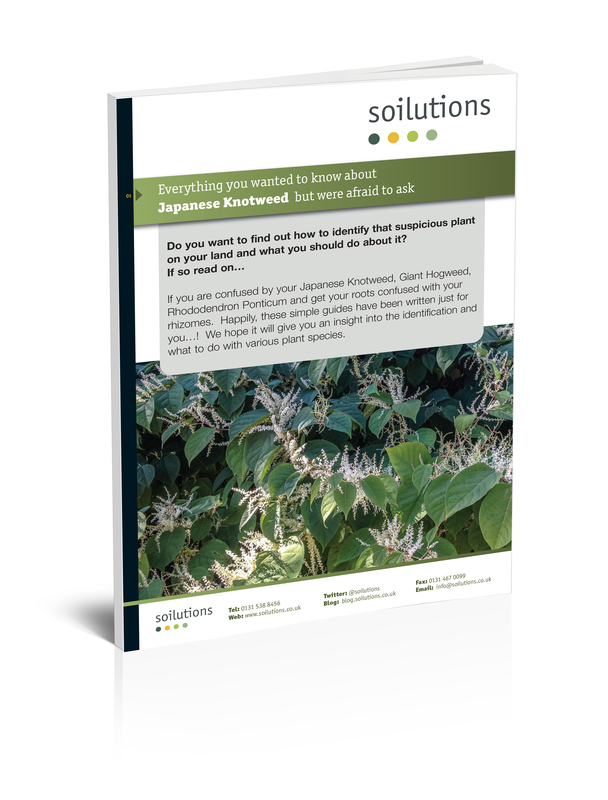 Japanese Knotweed When to Treat it? One of the most crucial aspects of any herbicide treatment is timing it correctly within the growing season. This actually applies to the treatment of a great many problem species both plant and insect when applying chemicals as a means of control but it’s particularly crucial when it comes to Japanese Knotweed. At present the marauding stand of Knotweed which has been gradually taking over your land for the last four or five months probably has it’s pretty face on with large ‘sprays’ of flowers such as those in the picture above brightening up the otherwise imposing and impenetrable bulk of vegetation. This is a signal that if you’re going to use one of the most common and effective forms of treatment it’s probably about time to contact a suitably qualified person who will break out the glyphosate based herbicide and schedule in a treatment. Crucially this decision must be made based on the appearance of the plant rather than an arbitrary date in the calendar, the British weather is a curious thing and unseasonable weather will affect the growth of most plants. Because of the way Japanese Knotweed grows a mistimed treatment risks either killing the surface growth without significantly impacting the buried rhizome if you treat too early. Or if you treat too late you risk not effectively transporting the chemical into the rhizome because the plant has started dying back. Systemic herbicides such as glyphosate need the plant to be alive so that the chemical can move along with the normal fluid movements inside the plant and reach the rhizome (the root of the problem if you’ll pardon the pun), to be most effective. It should be pointed out that in both these scenarios as long as the plant is of a reasonable size and the leaves and stem are still green the herbicide treatment will have some effect you just won’t get the same bang for your buck as a treatment within the optimum window. So the ideal time to treat is probably about now if the treatment plan is to use a glyphosate based herbicide. The optimum timing for other herbicides will be different and it is a crucial legal requirement that anyone applying pesticides in a commercial context is suitably qualified and that they do so in accordance with the licence of the product. There are likely to be other considerations such as the weather, pollinating insects and human activities in the vicinity to be managed as well. So, as with so much in life timing really is everything and a suitably qualified professional is the best person to take these decisions. If you want to know more just drop us an email or give us a call on 0800 02 09 307. In this case the culprit was mould out competing the grass but we had to take samples to find out for sure. How do I find out what’s killing my plants? From time to time we get asked questions like ‘The plants in my garden have all died, what’s killing them? Does this indicate contamination of some kind?’. The answer is ‘Possibly, but we’ll have to ask you a bit about it and maybe get some analysis done to be sure’. As any gardener will tell you plants need care and attention to grow and thrive. Lack of nutrients or sunlight, too much or too little water and a host of fungal infections or nasty insects can lead to your prized roses withering away or a large patch or your grass going brown and dying. If some of the plants in your garden have suddenly withered away then you should first have a think about what’s changed since the time when they grew successfully. Has it rained a lot recently? Have you or your neighbour been a bit trigger happy with the Roundup weedkiller? Has a dog been using your grass as a toilet? These are all common easily explainable reasons for plants suddenly struggling. However, if a big patch of grass close to your kerosene tank randomly goes brown and dies it’s probably worth investigating the possibility of a spill. If this is the case you’ll probably also be able to smell the kerosene or see an oily sheen and it’s important to contact a professional to respond to this as quickly as possible. But what if there’s a corner of your garden where things just don’t grow? Well if it’s free draining, gets a decent amount of sunlight, you’ve tried different species of plant and you’ve tried adding fertilisers and nothing has helped? It might be time to have a look at other possibilities. It’s possible that there is some sort of Phytotoxic (poisonous to plants) contamination in the soil. Modern housing developments will have been the subject of site investigations to look into these things and if there was an issue of this kind then remedial works should have been carried out to remove these risks as part of the development. It should be said that although the planning system is in place to make sure that this process is followed and in our experience generally works well, sometimes things aren’t always done to full standards and some properties can slip through the cracks. It might seem obvious but older properties were not built to modern legislation so it’s hard to be sure what’s in the soil around these properties. A suitably experienced professional will be able to have a look at the situation, suggest a few possible culprits and maybe recommend a suite of analysis. Problems of this kind can be a bit like looking for a needle in a haystack so this analysis might not identify the problem but it can certainly rule out a range of things and point you in the right direction to get things growing again. 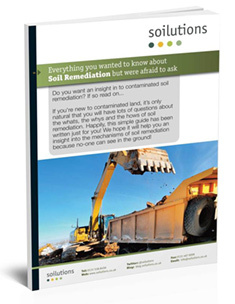 Our fingers may not be the greenest but we do know about contaminated land so if this sounds like your garden then some remediation may be required, feel free to call us for a chat.